With two family members dependent on insulin to make it through their daily lives, we very much need modern technology! I know absolutely nothing about such things but with a small greenhouse, you might be able to supplement , or in an emergency replace, your insulin requirements with this or other herbs. I wish, Tahn. Some forms of mild diabetes can be controlled by diet, but serious types can only be treated with insulin. Insulin, in its natural form is made from the pancreas of animals, usually pigs. It has been available in synthetic forms for many years now, but neither of those can be made in the kitchen. I wish, Tahn. Some forms of mild diabetes can be controlled by diet, but serious types can only be treated with insulin. Insulin, in its natural form is made from the pancreas of animals, usually pigs. It has been available in synthetic forms for many years now, but neither of those can't be made in the kitchen. Unfortunately, ML is right. Despite lots of research by yours truly I have yet to find a 'natural' method for managing type 1 diabetes. Both wife and youngest daughter are dependent on insulin injections (or, in their case, insulin pumps). That being said, we do take steps in cutting out unnecessary carbs (processed sugars) which would require more insulin so we can, if need be, stretch the current supply. But at the end of the day, we are completely dependent on very modern technology. Wow... this thread went sideways. defined your meaning of windy? if looking for wind power, then Wyoming is a good place. but is not for the faint hearted. yea?, maybe because your to close to SD. 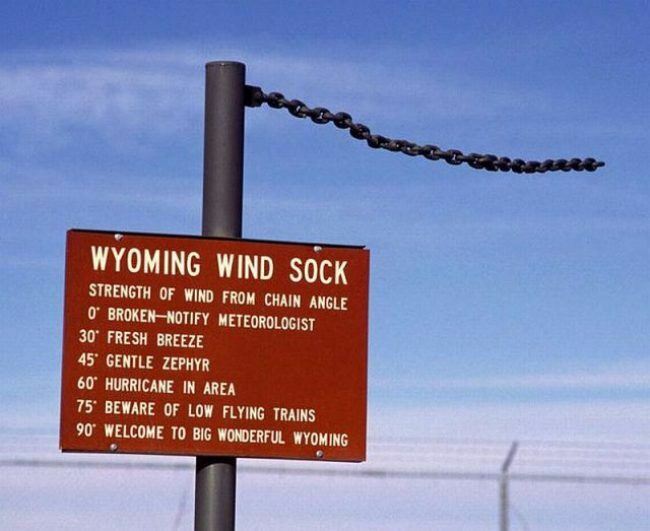 here in central Wyoming, it is always windy. a clam day is a 5 mph wind, a typical day is about 25 mph, a hard wind is about 45 mph. just got to learn how to deal with what you got. Just got back in from a trip to the firewood pile. I've been snowed in, with a pile of ice on the deck that wouldn't allow me to open the storm door. Finally got it melted enough (pans of hot water carried around from the front door) to chip a track for the storm door, so went out to replenish my wood... burned the last chunk I had inside this morning. WHEW. Thank goodness I was bright enough to wrap my head good because I didn't even make it down the steps when the wind came up... and boy, oh boy, do I know now what "wind chill" means. I used to laugh at the idea... but no more. It was a balmy 25 degrees when I went out, going to be much colder tomorrow. And more snow tonight. But I'm managing. I know there are some county's with more people in them, but I like the fact that there are so few people here. Seriously needs an update. I don't think there are still 3500 people in Newcastle. Maybe 5,000 in all of Weston County. Yeah, I know. Not that it is accurate, of course. A lot of us here tell the "census" people to go to hell. So the census folks count the number of voices coming from the house when such demands are yelled at them! I'm not sure they are bright enough for that... The last census person I saw was too busy gawking at the gun on my hip to ask any questions. I answered the door and said hello... not sure she heard me either. She held out the paper and I said, "no thanks," and shut the door as she went back to her car. I'm sure it is a very frustrating job out here.